Have your groom dressed head to toe! 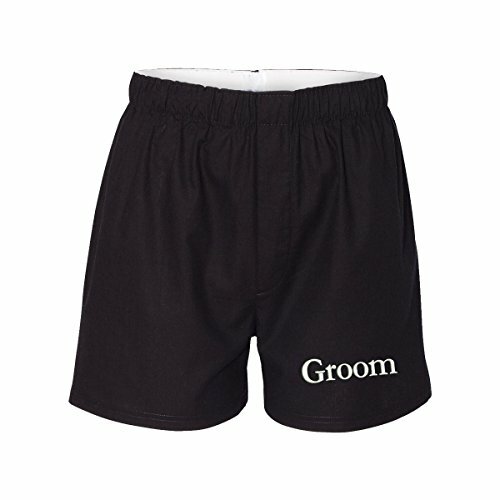 These 100% black cotton boxers make a great gift for the groom to be. Available in black or white with relaxed fit waistband and faux fly. Groom is embroidered in white on the left leg. Available in S-XXL. For sizing measure around natural waist with a measuring tape.